Today a speaker from Niki confirmed media speculations about future cancellations of 14 destinations. This 14 destinations are: Abu Dhabi; Stockholm; Hamburg; Hanover; Barcelona; Madrid; Valencia; Nice; Paris; Zurich; Rome; Milan; Alicante and Malta. All passengers booked on flights to this destinations after January 30th 2017, will get a message from the airline on Monday. They will get the possibility to change their bookings to partner airlines or to cancel their bookings without additional costs. The Air Berlin connections, which are currently operated by Niki, from Graz, Vienna and Salzburg to Berlin and Dusseldorf, will be operated by Air Berlin in future. 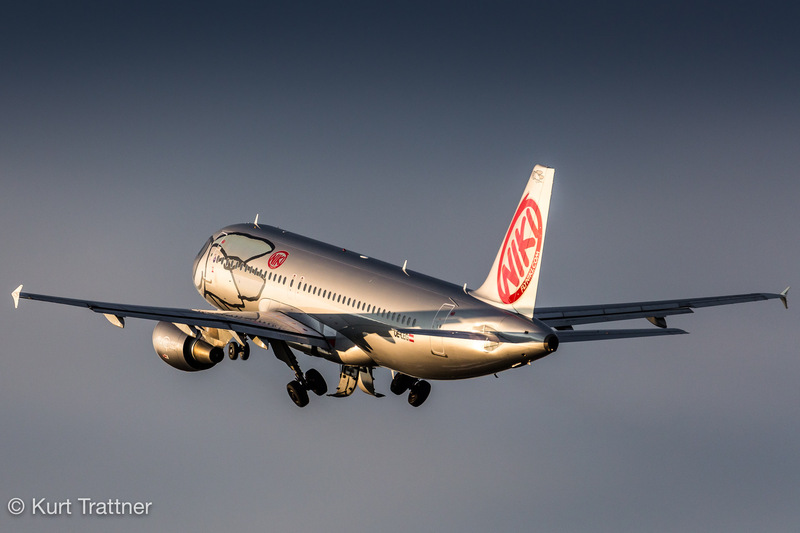 The plan is to make Niki together with TUIfly to a tourist carrier, while the brand Niki will still be used. It is not yet sure, which name will be used for this cooperation. The work title is “Blue Sky”. The fleet of Blue Sky would consist of 22 Airbus A321 from Niki and 41 Boeing 737 from TUIfly. All other aircraft types of Niki like Airbus A319 and Airbus 320 will be sold. Airbus A320 from Niki departs from Vienna. 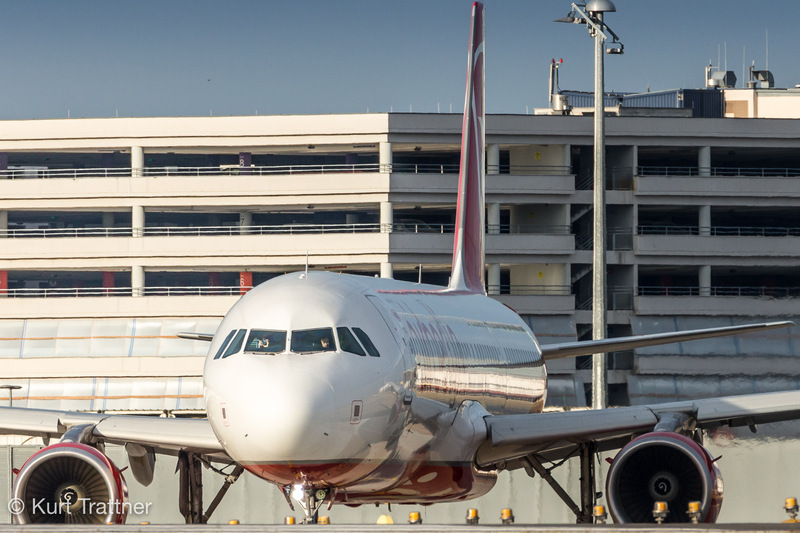 Airbus A321 from Niki in Air Berlin livery lining up in Vienna.